Ever texted while driving? Stop it! The unfortunate fact of texting-related, fatal car accidents is a problem ignored by many of us, yet it’s been talked about in countless articles - most recently by The University of Utah. 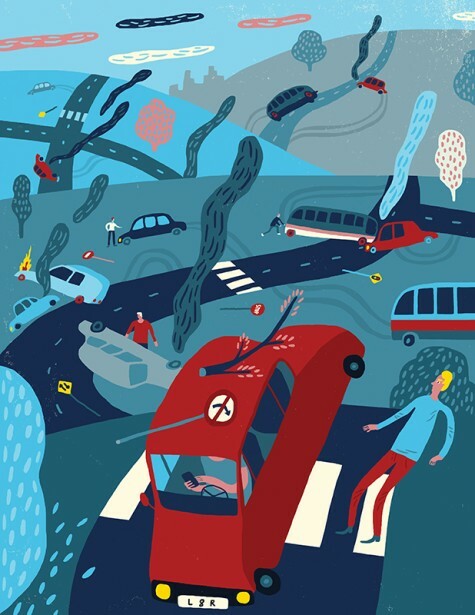 Øivind Hovland provided the pretty, yet serious illustration that will hopefully get a few more people to look up at the road ahead.